It goes back a long way, Boatwif’s fascination with boat and particularly with ferry watching... As small children on a Sunday afternoon Senior Sis and Boatwif would be piled into the family car and driven down to Hobbs Point. From here a small vehicle and foot passenger ferry would cross to Neyland. 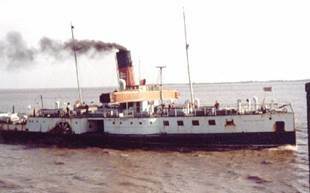 The first ferry of memory was Alumchine, a paddle steamer operating until 1956. 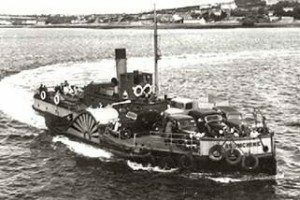 Boatwif’s memory of this, and of her successor, the Cleddau Queen, was the curious way the ferries came in to berth. 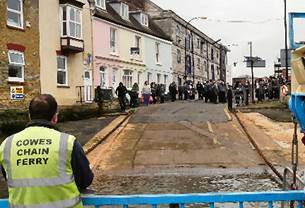 Vehicles and passengers would have to approach the boat down a sloping quay and on a slant creep left onto the boat. The ferry crewmen would kick into place some triangular wooden blocks to fill in the space between pier and boat; underneath it the tide would be rising or falling, regardless, of course, of a ferry timetable. 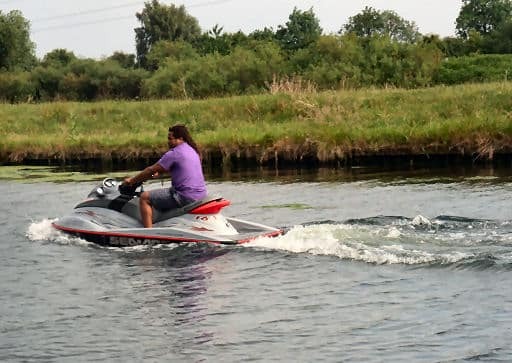 Sometimes the ferry would be buffeting in the westerly winds; sometimes the three Neyland fellow pupils in Boatwif’s year group would arrive late at school – ferry problems! Such was the call of the water that sometimes, as a young teenager, Boatwif would spend her pocket money on a bus ride to the ferry and then take a trip across the Cleddau estuary to Neyland, which was always a sleepy little place, never quite achieving Brunel’s vision of it becoming a modern transatlantic ferry port. 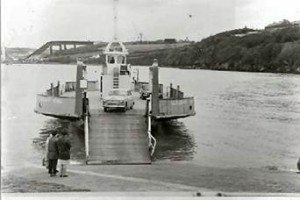 Fast forward ten years or so and another ferry had been discovered: one from Barton-on-Humber to Hull, city of yellow telephone boxes. Then there were ferry trips in Scotland, to Skye and to Oban and to Lewis on the Outer Hebrides – and a memorable open boat crossing in the early eighties across the Kyle of Durness to Cape Wrath, when the ferryman flatly refused to charge the going rate for a family as he thought it was too much for a family to pay. All that is deep in Boatwif’s past but there’s something about a ferry that still fascinates. It’s Transport by Water… Ferries buzz between the Isle of Wight and the mainland. Vehicles, be they cars or lorries or coaches, roll on and roll off these days, as with the final Hobbs Point ferry, the Cleddau King. 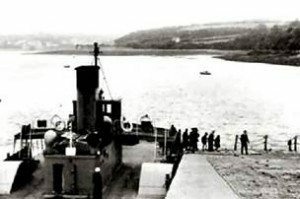 (Note the collapsed Cleddau Bridge in the background). 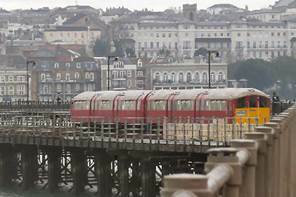 hastened to the ex-tube train which travels from Ryde Pierhead across the island to Sandown. 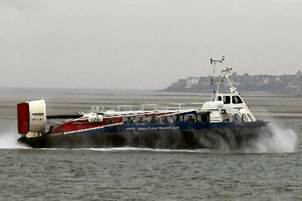 A mighty roar heralded another ferry, the hovercraft that travels between Ryde and Southsea. 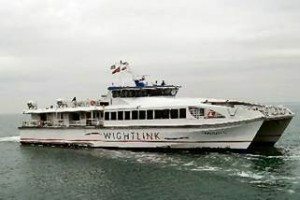 Just eight or so miles along the north coast is Cowes and more ferries buzz in there. 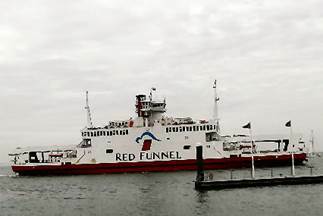 Right past the Royal Cowes Yacht Club surged the Red Funnel ferry from Southampton to East Cowes. 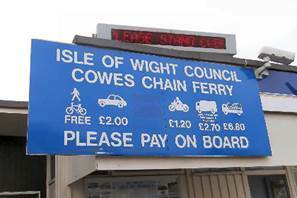 But the Best Ferry accolade goes to the Cowes Chain Ferry, locally known as the Floating Bridge. 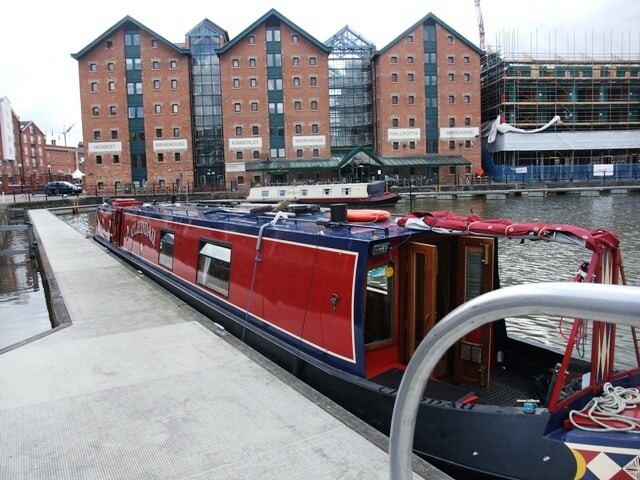 This craft plies its route of between 70 and 140 metres (depending on the height of the tide) across the Medina River. A pair of chains is wound to provide the boat’s movement and it operates continually between 0500 and 0030 over 365 days a year: now isn’t that good service! 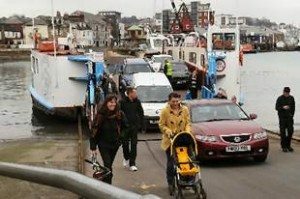 Foot passengers and cyclists ride free of charge – and judging by the scores of school pupils waiting to embark on the Cowes side midway through a weekday afternoon it is well used! Six days after the first crossing to the Isle of Wight came the return trip. 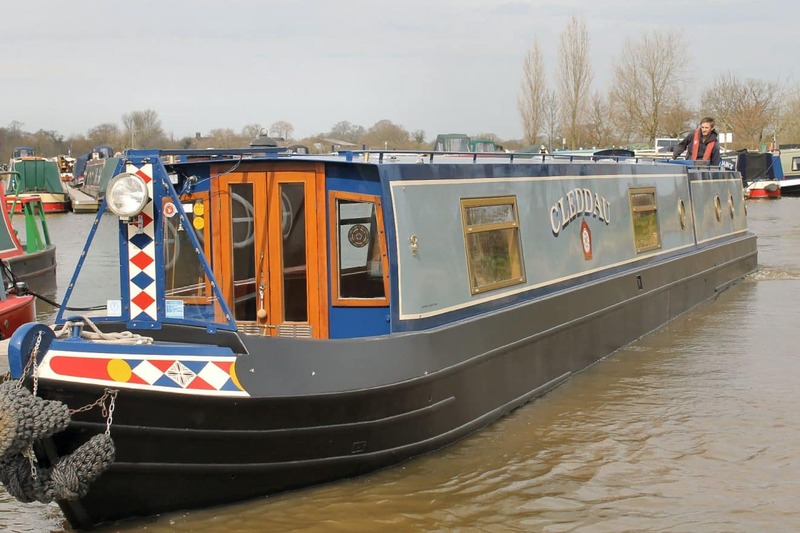 The booked outbound 2pm trip from Portsmouth had been on the 1pm ferry – and an early arrival for the 11am Fishbourne return crossing saw the Cleddau crew waved onto the 10am ferry. Moral – for flexible ferry travel go off-season! 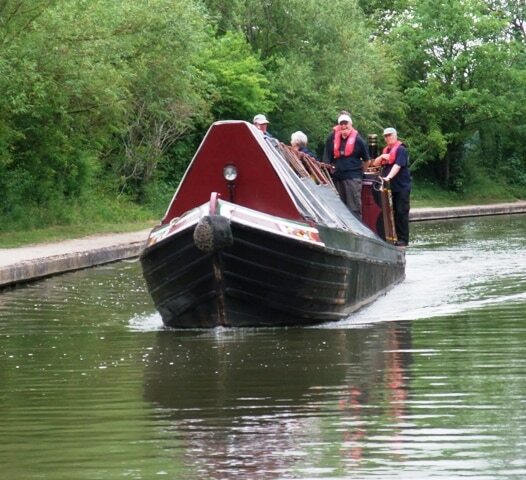 Once the current cold spell is over maybe Cleddau can resume her transport duties – and ferry her crew along the Upper Peak Forest Canal to Bugsworth for a spring weekend…? Will report if it happens!